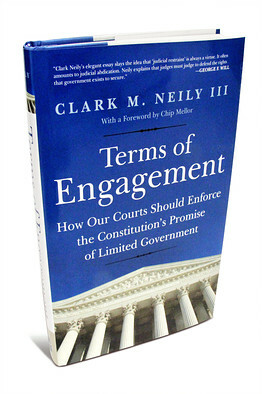 In “Terms of Engagement,” Clark Neily draws upon his extensive experience as a lawyer for the libertarian Institute for Justice to expose this pervasive legal maneuvering and identify the human costs of so-called judicial restraint. He describes laws requiring Americans to take hundreds of hours of training to become state-licensed cosmetologists before they can braid hair, “even when they provide no other services and use no scissors, chemicals, or potentially hazardous instruments.” Louisiana requires a florist license before a person can arrange flowers for pay; Louisiana and Tennessee require anyone who sells a casket to the public to be licensed as a funeral-home director. Countless such restrictions on individual liberty are supposedly needed to protect the health and safety of the public. But as Mr. Neily explains, under the current doctrine favoring restraint, government lawyers needn’t provide any actual proof of a genuine health or safety problem, or show that the law’s restrictions address whatever problems may truly exist. Indeed, existing doctrine requires judges to make up reasons for such restrictions, no matter how disconnected these rationales may be from why the regulations were adopted. Thus does constitutional law enshrine what economists call “rent seeking” by the politically powerful. The price is the economic liberty that once fueled the American dream. The whole thing is here (though probably behind a pay wall).